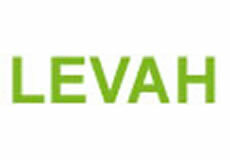 Shanghai Levah International Trading Co.,Ltd. is one of the leading manufacturers and suppliers of Livestock Supplies, Poultry Supplies, Equine Supplies, Pet Supplies, Protective Equipment, Electric Fencing, Garden Supplies,etc., etc. responsible to source reliable and selected suppliers, keep constant quality and prices under control in order to supply the right products to the oversea market. Levah has a strict quality inspection process which include strict inspections of raw materials, approval of batch production samples, standard inspection of manufacturing process, random quality inspection during production and quality inspection in warehouse before shipment. Levah guarantees competitive pricing, our experience and contacts within China also reduce the risks of non-performance or sub-standard performance, Levah always do our best to design, manufacture and source the products that you require to continually improve your return-on-investment, help your bottom line and take the lead in your industry. Our daily jobs also include making an assessment of feasibility, drawing up specifications and undertaking a significant amount of research prior to even providing you with a quote. Throughout our work with you we consult to you at all times. 1. OEM and ODM, accessories used in Livestock Supplies, Poultry Supplies, Equine Supplies, Pet Supplies, Protective Equipment, Electric Fencing, Garden Supplies,etc. 2. Sourcing existed products used in the industries same as above.